At JAW Consulting UK, we understand that our own cyber security is a concern for our private and public sector clients and take data security and the need for secure IT infrastructure very seriously. So to provide the necessary reassurance and demonstrate effective governance, JAW Consulting UK’s IT systems & infrastructure has been separately certified as part of the UK Government Cyber Essentials scheme. Cyber Essentials is a government-backed cyber security certification scheme that defines baseline cyber security. Achieving certification means we’ve been checked against five controls that the government believes when implemented, can prevent around 80% of cyber attacks. 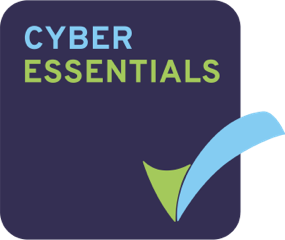 For for information about how your own business can achieve Cyber Essentials Certification, please get in touch for a free consultation. Posted August 30th, 2017 in . You can follow any responses to this entry through the RSS 2.0 feed. Both comments and pings are currently closed.